Christmas is upon us and kids are expecting some cool goodies from you. Fear not, we have got you covered. Today we show you the best-selling and most creative and artistic presents for the kids on Christmas 2016. 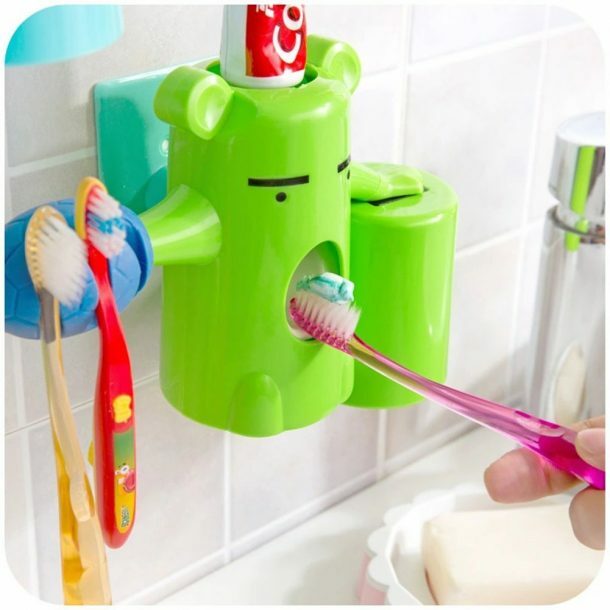 This is a funky and innovative toothbrush holder with an integrated toothpaste dispenser. It is made from ABS and can handle up to 3 brushes at a time. You can attach it with mirror, glass, painted wall or wood, etc. A creative way which might brighten up the mornings of your kids. A fun and creative way to teach children about importance and impact of money and to save it for later use. Designed to appeal children, the unit looks like a giant panda. It is made from high plastic and is pretty thick and will not break if you drop it. There is a touchpad for opening it via a passwords and the bank is large enough for the child to store their small valuables. An automatic paper money scroll gulps the bucks. “I just gave this to a little friend of mine for his birthday. And he is very, very happy. 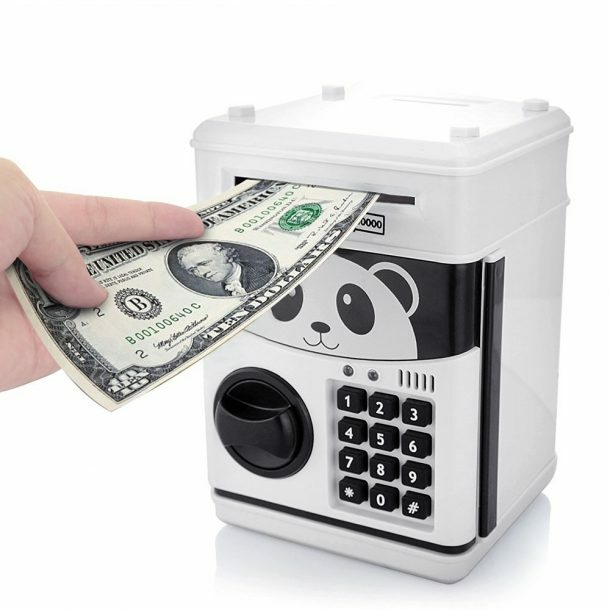 This piggy bank is a cool idea. It helps teach children to save money in a fun and creative way; it helps them learn how to keep something valuable safe, and it helps them learn about banking and money in general. This toy is fun, but it’s also educational. We tried out the password function and how to open and close it – everything worked smoothly and well. This piggy bank is larger than I expected, which is another good thing. The little guy loved it, and I am sure he will be saving his money from now on.” – Amazon’s Customer Review. This is a puzzle with 85 pieces, all marked, so it makes easier for the kids to put them together. 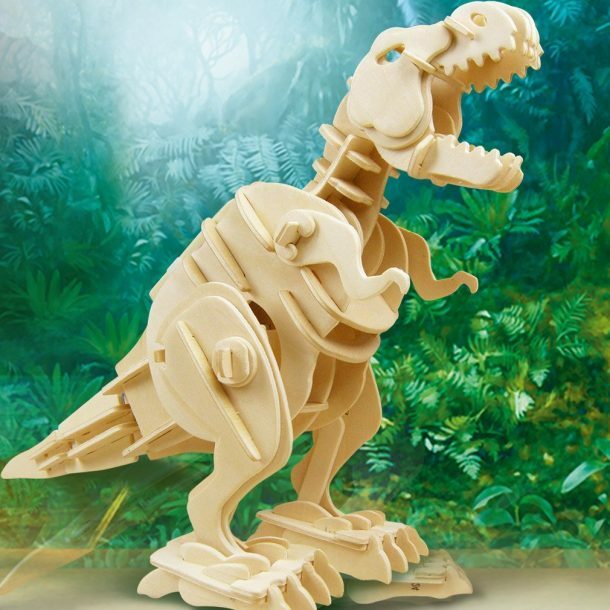 The pieces are made from natural wood, and when your T-Rex is completed, you can put it batteries. It will then come to life; walk and roar. Have a dino blast with the kids! Works on 3 AA batteries. “This is a great Christmas present for your kids or grandkids. It is a walking wooden 3d puzzle Dinobot with sounds. It is a sound controlled dinosaurs kit it has clearly labelled pieces you cab have great fun with your kid or grandkids and putting this together you don’t need any extra tools or glue. It is near putting it jointly with the kids and then with a couple of claps you have a live roaring dinosaur and the look on their faces are priceless. It does take some time to put it together but well worth with it. It’s a great Christmas present for the kids.” – Amazon’s Customer Review. Incredibly yeppeun, these are soft and breathable knee socks for the girls. They are made from 85% cotton and 15% spandex and are made soft, comfortable and ventilated. You can buy the one with a pair of 6 or one with pairs of 8. The girls are sure to love the cat eyes. 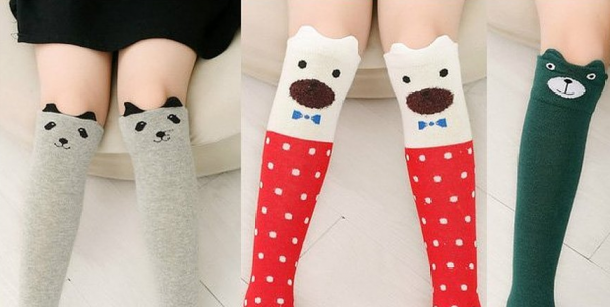 “These adorable cat socks were made for little girls as an over the knee sock. However, my little girl is not so little anymore, but that did not stop her from wanting them. On my 5’5 daughter with her athletic calves, these come up about mid calf and are every bit as cute. The socks are black cotton and measure forty-two cm in length. They are very stretchy and soft. She finds them to be very breathable. They are durable as they have lived through her regular walk around everywhere without shoe routine and they wash very well, there was no shrinking, fading or falling apart. The socks come in a variety of animals, and despite the fact they only reach her calf she is already asking for the panda bears and delightful sock monkeys. These are a great pair of socks to pair with a skirt and ankle boots for a preteen or teen, or a lovely little dress for a younger girl. If you are a fan of cute socks these are not to be missed, although they are knee high on little girls, the stretch will allow for use by both teens and smaller adults, just not reaching the same height, they are made well, and simply adorable. I received this product at a discount in exchange for my honest, unbiased opinion and review.” – Amazon’s Customer Review. Bring the entire universe home, in your room and get the kids fascinated with the stars, planets and galaxies. 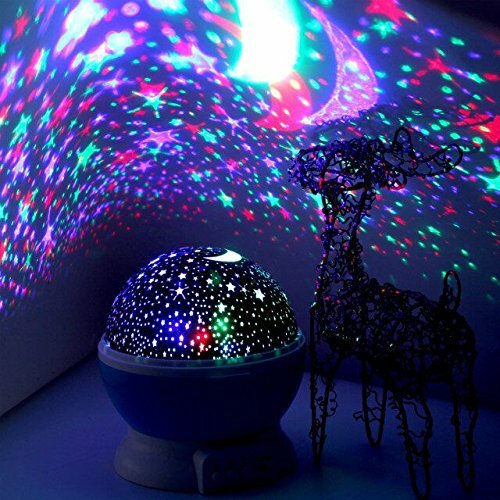 This is a wonderful cosmos projector night lamp that will project the entire cosmos on the ceiling of your room. It offers three different modes for various types of projections (nightlight light, monochrome/colourful, rotation) on the roof. Four AAA batteries support it. “This night light is the coolest light I have ever seen, honestly. I am 30 years old, and I was excited like a little kid when I turned it on for the first time. I wish I would have had something like this when I was a child. I have tall 12 ft ceilings in my apartment living room, and I thought maybe it would not be that bright on the ceiling or walls, but I was wrong! It displayed all the stars and moon brightly all over my entire living room. Then I took it to my bedroom which is a little smaller and placed it in the centre of my bed, and it was beautiful there as well. The globe has several functions. You can make it stationary or have it spin. The motor is pretty quiet and would not keep someone awake. You can have just white stars or white and blue simultaneously. I like having the combination of the two. Also, there is a frosted cap you can place over the globe if you do not want the stars displayed all over the walls and ceiling and just want to use it as a light. It comes with a USB cable you can plug into your computer or any USB port. Or, if you want, you can use 3 AAA batteries instead. I opted for the USB cable method. Any child or even adult would think this is a great light and I am sure it would keep a baby calm and interested as well. I got this item for free, but I would pay the $20 for it. My photos from my cruddy cell phone do NOT do this light justice. It is beautiful and bright and vivid in real life. I received this product for free in exchange for my honest and unbiased review. All comments and opinions expressed herein are 100% my own and are not influenced whatsoever by my discounted purchase price.” – Amazon’s Customer Review. The unit is powered by 2 AA batteries and comes in an ABS plastic box with 52 other accessory items. “I got this for my daughter for Christmas next month. I thought I would give it a try since I saw all these bad reviews. 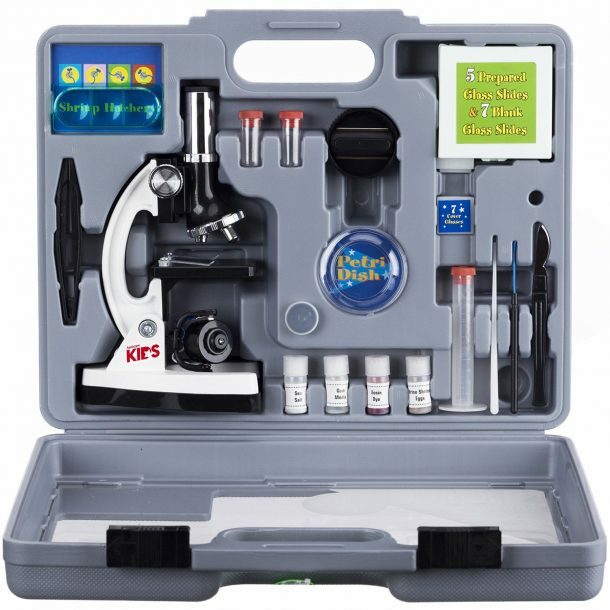 This is an incredible microscope for the price and works well. I have a history of working with them and found it very easy to find the samples on the slides. They also showed up nicely. The key it to start with the smallest magnification (300), once you have found your sample and focused on it then attempt using the higher magnifications. Some of the slides are not meant to be seen with the highest magnification. Also be sure to clean all slides before viewing as all of ours had dust on them. It will be harder to see anything with dust on the slide. The eyepiece also needed to be cleaned because it was dusty. The microscope is metal; the stage is plastic with plastic clips. I did find it a bit annoying that I could not move the stage from side to side, so when viewing I had to move the slide its self. I have not used the hatchery or any of the other things as I am gifting this in a month. Even without using those items I am very pleased with this product. It was better than I could have imagined. I can’t wait to make slides with my daughter and see what we can see. I have included some images I captured of each slide with my camera. These are not as clear as they are when viewing it through the scope with your eyes. However, I wanted to show everyone that this microscope does indeed work. I found all of the samples within a matter of minutes besides the corn root (blue slide with small round circles on it all in rows). The corn root is pale yellow, making it hard to see the light shining on it. So I used the blue light filter to help bring it out better. I hope this helps you all feel more comfortable about making your decision with this brand. The carrying case is a nice plus too.” – Amazon’s Customer Review. 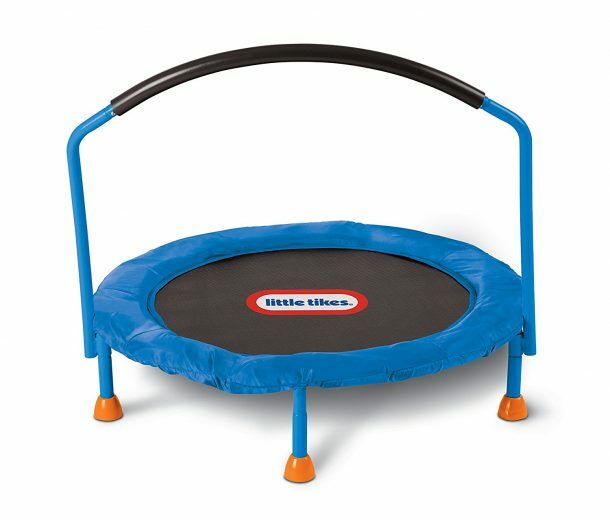 This is a 3-foot trampoline by the toddlers and kids till age 4-5. It features a large jumping space and has a handlebar for stability. Made from plastic and metal, this is an great item for kids and toddlers to burn off their energy. The balance bar helps them stay upright. “Best product ever for a toddler with plenty of energy. We have had it about six months, and it is used every day. I set it up in front of the TV, and the granddaughter jumps while watching her favourite shows. Highly recommended” – Amazon’s Customer Review. 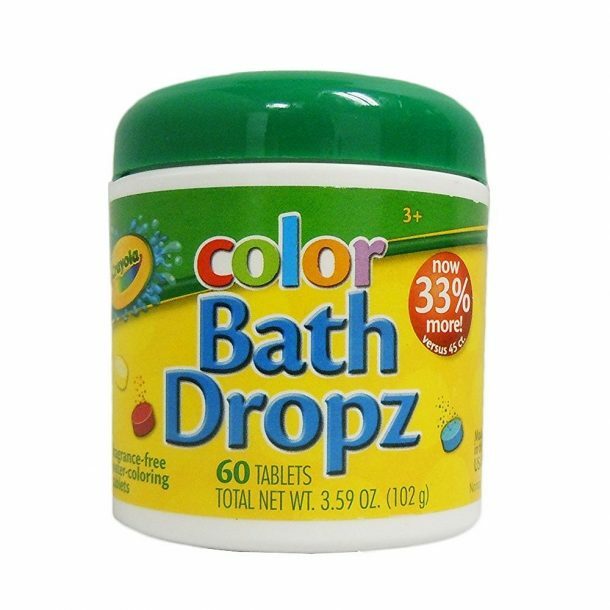 These are 60 tablet of bath drops, multi-coloured made for changing the water to bright Crayola colors. The tablets are fragrance free. These will turn the ordinary bath of the kids to innovative and fun bath. Offers a wide range of rainbow colours and comes in a reusable container. “Lovely colors, lots of fun for little ones. “Dyes” the water blue, red or yellow. Good for teaching colors, or just for the fun of it (no pressure, just pretty water). I don’t like red water and the yellow and orange is kind of weird, but the blue is gorgeous and purple is lovely too. Doesn’t stain the white washcloths or skin. Our toddler girl loves it. I’ve also used it with bubble bath. Has no effect on the bubbles.” – Amazon’s Customer Review. A stylish pedal powered motorcycle for the kids. The unit features rugged, durable tires; easy-grip handlebars and strong plastic construction that can take in daily wear and tear. A surprising secret storage compartment inbuilt, is on its way to surprise the children. Easy-peasy fun for the little adventurers. 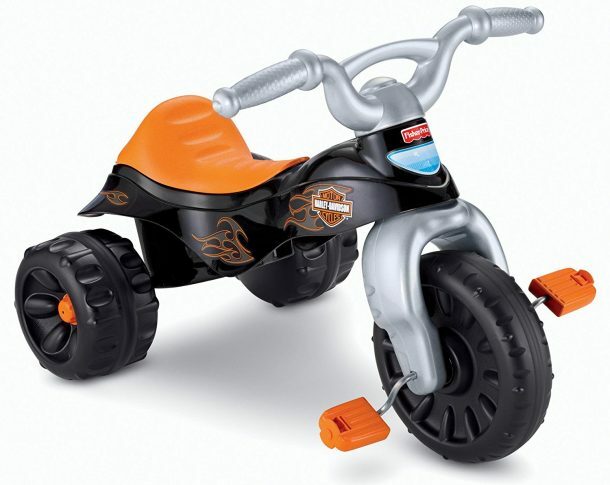 “My twin grandsons love these lil Harley Davidson bikes. They were easy to assemble and the quality is very durable. The plastic is really thick and can handle rough play. I would definitely recommend these bikes. I payed full price for these bikes and I’m happy with the purchase. ” – Amazon’s Customer Review. Who can guarantee about this more than the people who have used it already? 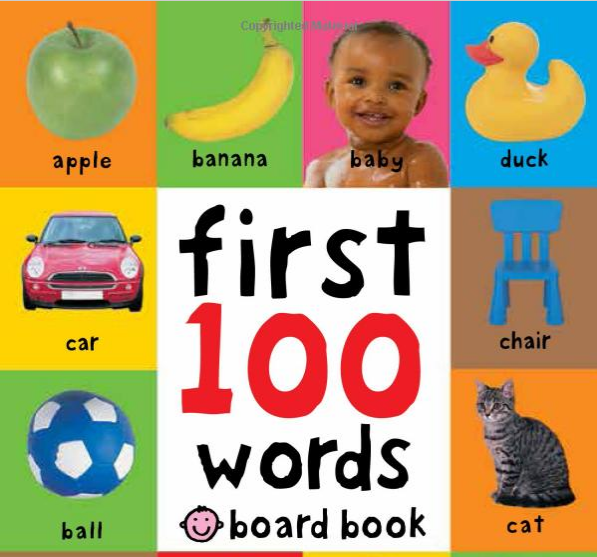 There are 100 color photographs to look at and talk about, and 100 simple first words to read and learn, too. The pages are made from the tough board to handle wear. The cover is softly padded for little hands to hold. “This book is perfect for the diaper bag! It’s small, and my 13-month old can enjoy it whether or not anyone is available to read it to her. It has kept her entertained through many restaurant mealtimes and car rides. You’ll be amazed how many words your child knows when you ask her to point to specific pictures throughout the book!” – Amazon’s Customer Review.